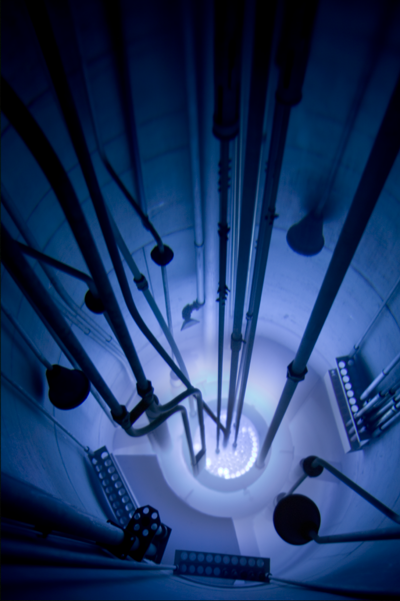 The OSTR is a water-cooled, pool-type research reactor that uses uranium/zirconium hydride fuel elements in a circular grid array. The reactor is licensed by the USNRC to operate at a maximum steady state power of 1.1 MW and can also be pulsed up to a peak power of about 2000 MW. The most important responsibility of the OSTR is to support Oregon State University’s academic programs. Instructional use of the reactor is twofold. First, it is used significantly for classes in nuclear engineering, radiation health physics, and chemistry at both the graduate and undergraduate levels to demonstrate numerous principles that have been presented in the classroom. Second, shorter-term demonstration experiments are also performed for many undergraduate students in physics, chemistry and biology classes as well as for visitors from other universities, colleges, high schools and civic groups.